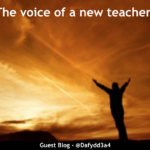 Music changed my life as a teacher. 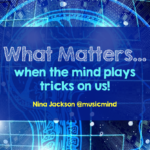 Following 16 years of research on the effects of music on the learning brain, I thought I’d share my work with you as there have been many conversation on Twitter recently about classroom playlists. 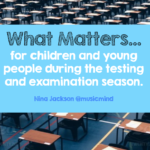 There is plenty of research on, and recommendations for, using the right music at the right time and for the right reasons in all sorts of learning and teaching situations. Using music specifically dedicated to learning is an area that seems to cause controversy with teachers. However, numerous studies have shown that using techniques linked with the theory of ‘sound waves make brain waves’ has helped learners with the way they approach learning. You can find the data to support this research in Ian Gilbert’s The Big Book of Independent Thinking: Do Things No One Does or Do Things Everyone Does In a Way No One Does (Carmarthen: Crown House Publishing, 2006), p. 31 in my chapter on ‘Music and the Mind’. 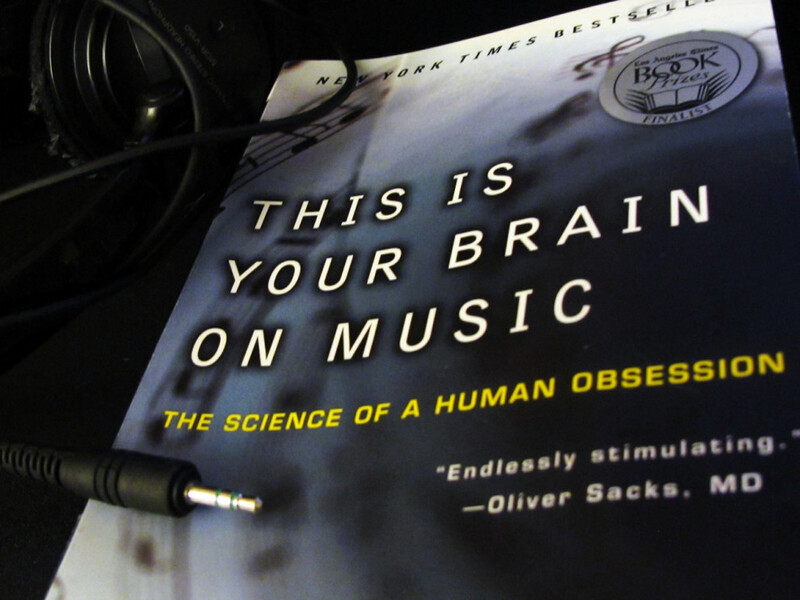 Music has the neural firepower to jazz up thought processes and reasoning skills. Listening to music can help learners encode information and improve the recall process. Getting the brain ready to recall information, solve problems, learn by rote, develop study and revision skills and even deduce theorems is a complex process. 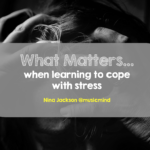 However, I’ve found that using music for focus can help learners and teachers with abstract reasoning and brainwork, such as analytical, creative or administrative thinking and aspects of motivation. Using the right music can cut out distractions and structure thoughts for academic learning. Music can also help students to work smarter, not harder. The accelerated learning school pioneered by Bulgarian psychologist Georgi Lozanov during the 1950s and 1960s, and then popularised in the United States by Sheila Ostrander and Lynn Schroeder, suggest that learning in time to music at about 60 beats per minute (BPM) helps imprint material in the memory with less conscious effort. Learning to music is certainly an improvement on the usual grinding process of silent memorisation, so why shouldn’t something that sounds good make the memory work better? Music primes the mind for learning, whether you are deducing mathematical theorems, drawing conclusions from experiments, playing chess or being challenged by any type of abstract thinking. By using music correctly in the classroom, you will be able to stimulate aspects of the ‘left brain’ (yes, I know it’s more complicated than that, hence the scare quotes!) in order to promote logical and analytical thinking, as well as stimulating ‘right brain’ (ditto!) thinking to help your students grasp the big picture and think in a non-verbal and creative way. Music also helps when they are studying for a test or examination or when they need to recall knowledge, information, shapes or pictures. In fact, by following my guidelines you will be able to develop the students’ skills and processes to recall almost anything. By linking a piece of music or a melody to a fact, the pupils can make an instant link between the information they have been studying and the music they have heard. It acts as a ‘brain trigger’, much like storing information in a special little box. Playing the music is like opening the box. Easy really! 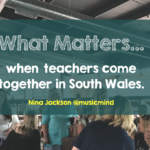 In my book ‘The Little Book of Music in the Classroom’ there are several chapters covering all aspects of teaching and learning and choosing the right music for the right reason at the right time is crucial. There is a science behind it you know! I’d like to share one of the very many strategies using music for learning in your classrooms so you can understand how and why the right Sound Waves can make the right Brain Waves. Here is one of many areas. Music for memory recall and study skills. Explain that you are going to assist them with memory recall. Present the information you want them to learn or memorise on a hand-out, worksheet or digital device. Tell the pupils that when the music starts they should listen to it with their eyes closed and follow the ‘shape’ of the melody. They can put their heads on the desk if that helps them to feel safe when their eyes are closed. Play the music for a few minutes – a minimum of two but no more than ten. The pupils must not write down anything at this point. They should just listen to the music and become engrossed in it. This will link the music to their learning later on. When you’ve finished playing the musical extract, ask the pupils to choose a suitable way of remembering the information. They may use jotting, noting, drawing, bullets, learning diary, doodling, mind maps or any other preferred form of note-taking as long it’s a way of visualising what they have been thinking. Play the same piece of music again for the same amount of time. This time tell the pupils to read the hand-out and link what they’ve learned to the shape of the melody. The brain will now begin to make a link between the learning and the music. Towards the end of the lesson, play the music one more time (with the volume level low) and get the pupils to show or tell you what they can remember, either in groups or as individuals. You will soon see how the music has linked with the facts to enhance memory recall. Check to see if this has worked in the following lesson by playing the same piece of music again and assessing how much they can recall. When the music begins to trigger a link in the brain, they should remember doing the task or recall specific learning patterns. Don’t leave it too long before repeating the exercise as their memories may begin to fade. The most important part is choosing the right music. If you’d like to find out more about the tracks I used in the research and some further suggestions then have a look in here. Here are some suggested Music tracks you may want to use for the above task. Mozart musical extracts. It’s not just about Mozart and classical music it’s all about the BPM and the frequencies, but here are some of my give-aways for you today. Of course there is much more to it than these simple points above, but I wanted you to understand that the science behind it is validated and has had a massive impact on raising standards. Check this out too. If you want some more detail then download this article from Independent Thinking. I will be sharing with you the power of headphones and the use of music in a later blog. However, if you would like to know more about the specific aspects of using music for learning then please do drop me a line and I will get back to you. That’s what the Ninja does – always happy to help! For now it’s over and out….but here’s a little something if you’ve had a tough day at work…sit back, relax and enjoy the wonderful ‘Libera‘ voices.